Welcome to IMS! We are eager for you to join our community and look forward to seeing you on campus very soon. With different cultures represented in our student body, you are sure to feel right at home very quickly. Please take some time to explore our website and learn about all of the exciting academic and extracurricular activities we offer. Some practical information for new students can be found below. Again, welcome to IMS! 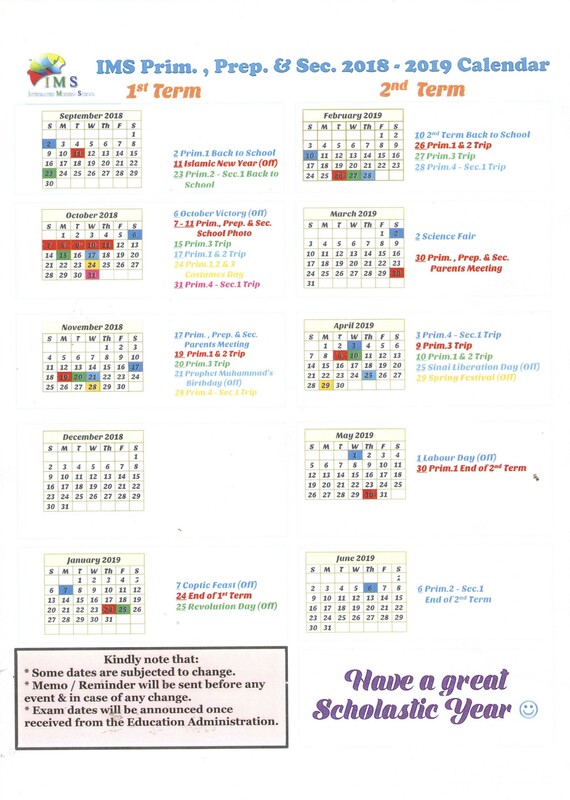 Please have a look at our school calendar for information on upcoming events at IMS. IMS’s school day begins at 7:30 am and ends at 3:00 pm. On Thursdays, the school day ends at 2 pm. The morning line, begins at 7:30 am sharp! School uniforms can be purchased on the school premises. The uniform center is open Sunday through Thursday from 8:00 am until 1:30 pm. Uniforms should be purchased prior to the first day of school. IMS provides an optional bus service to and from school for students who require transportation. In order to arrange bus service, please contact the PR team. The IMS’s cafeteria is open to all students during their specific lunch break. Cash is the only form of payment accepted. Students are not permitted to leave campus during their lunch break. Textbooks will be available to students during the first week of school. More information on the scheduled orientations for the upcoming academic year will be available soon.